The Los Angeles Water and Power Commission approved penalties this week targeting residential customers who use an excessive amount of water. 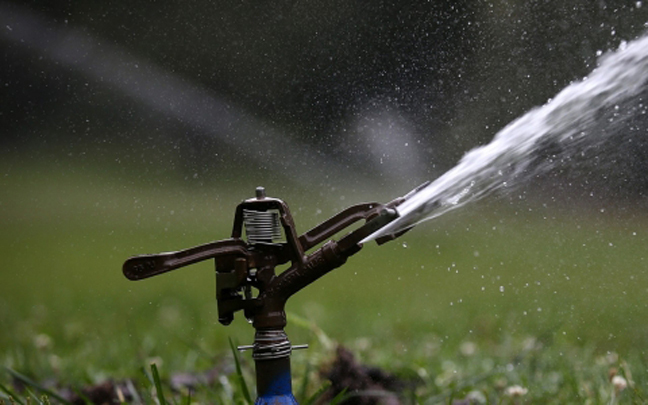 The proposed penalties come after Councilman Paul Koretz called last year for a more aggressive approach to compel the city's top water users -- such as a Bel Air homeowner who used 11.8 million gallons of water in a recent year -- to curb their usage. If approved by the City Council and the mayor, the penalties would be assessed against customers who use an unreasonably high amount of water compared to what is actually needed to maintain their property according to state guidelines, and they fail to take steps to conserve. Under the penalty plan approved by the commission, LADWP officials would visit the property of customers who enter "tier 4," the highest water rate tier, to investigate the reasons for the high rate of water use. The LADWP would then work with the customer on a water budget and conservation plan. A customer who uses more water than is budgeted or fails to allow LADWP officials to audit their property would pay financial penalties depending on the severity of the drought or degree of the city's water emergency. The city is in the second of the six phases of its emergency water ordinance, so penalties would be $1,000 per month for the first five months they are in violation. The penalties go up to $2,000 per month if the customer continues to be in violation for the next six months, then to $3,000 at the 12th month and ultimately to $4,000 at 18 months or more. Those penalties could ramp up if the city's water situation worsens and rules for phases three to six are in effect, with the highest financial penalty being $40,000 in phase five. If the customer is in violation during phase six, then the LADWP board has the authority to set the penalties as it sees fit. LADWP officials said they found many of the high water-use customers they reached out to be cooperative and often did not know they were using such a large amount of water or had broken pipes that were leading to the high-use. "A lot of people want to do the right thing," said LADWP spokeswoman Kim Hughes. Koretz, whose district includes some of the city's heaviest water users, said it was "patently unfair for some Angelenos to make heroic efforts to reduce their water use while others waste all they want and simply write a check." He added he was "pleased" to hear from LADWP staff that "the vast majority of the major water users have been more than willing to do the work necessary to drastically reduce their consumption."